POLICE Commissioner Gary Griffith is not pleased that a request by 13 transit police constables to be absorbed into the police service was leaked to the media, before he received their letter. Although he is willing to look at the curriculum vitae of the officers, Griffith said the fact that their request was leaked concerned him. Griffith, who is in the UK with National Security Minister Stuart Young for meetings with Scotland Yard officers, responded to Newsday's WhatsApp messages this morning. He said he was not aware of the letters addressed to him, and dated November 19, 2018, and January 10, adding that none of his officers had reported that members of the Transit Police Unit had sent any correspondence. In the January letter, the officers stated: "Dear Mr Grif­fith, I, (name and regimental number stated) along with the fol­low­ing of­fi­cers are cur­rent­ly at­tached to the Tran­sit Po­lice Unit. We are kind­ly re­quest­ing re-as­sign­ment to any avail­able units/sta­tions with­in the Trinidad and To­ba­go Po­lice Ser­vice." And in the November letter, the officers said they wanted to meet with Griffith to discuss the overall supervision of the unit, their location (at the Vehicle Management Corporation of TT (VMCOTT), Beetham Gardens, Port of Spain), the reassigning of officers and unattached officers. Griffith in response to Newsday's questions said: "I need to see the letter before I comment... I checked throughout and TTPS has at no time received any correspondence." He added: "It is curious to ascertain if and how the media would get a letter addressed to me and I have not yet seen it. And why send to the media? If this was done to put pressure on me to act, they are barking up the wrong tree because I see it as very immature behaviour, if this is what was really done instead of communicating directly to me." 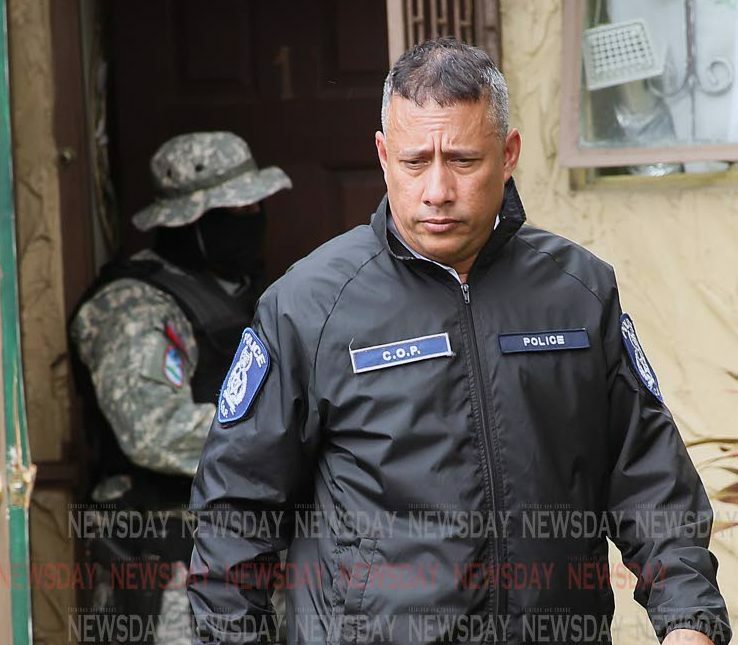 Newsday asked if consideration will be given to the officers and whether he had the authority to absorb them into the service, Griffith responded: "I need to see the CV and appraisal of the applicant. Leaking correspondence to the media is not a positive step. If persons have that same attitude and get into police stations, what is to stop them revealing confidential info from citizens. It is this kind of behaviour I am trying to remove. Not absorb." The transit police falls under the Office of Law Enforcement Policy (OLEP) in the National Security Ministry. OLEP is led by Keith Reneaud. Newsday contacted Reneaud on another issue concerning transit police, last week, and was told that as a "public servant" who could not give any answers to the media. Reply to "‘Leaking letter not a good start’"